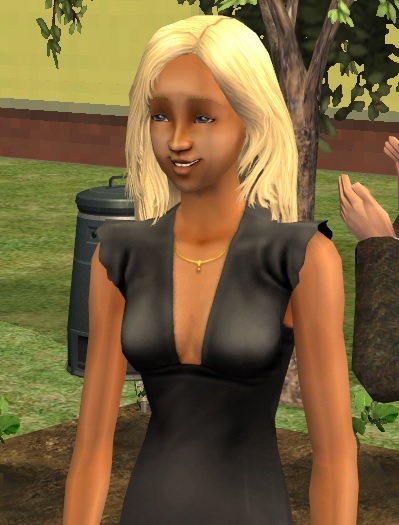 Maud is a grown-up townie teen and became generation 3 when she married Simon Bardh. She's got blond hair and dark blue eyes with a darkskin tone. Her aspiration is Family and her LTW is to celebrate Golden Anniversary. She turns on from Fitness and Underwear, but turns off from Black hair.